The two newest Pokémon characters have been introduced as part of the latest game in the series' lineup. Solgaleo and Lunala have been introduced in order to pormote the games Pokémon Sun and Pokémon Moon, which will be released in North America Nov. 18 on the Nintendo 3DS. According to the press release, "Honored as an emissary of the sun since ancient times, Solgaleo is referred to with reverence as 'the beast that devours the sun.' Solgaleo’s body holds a vast amount of energy, and it shines with light when it is active. Its signature move is Sunsteel Strike, an attack that charges at an opponent with the force of a meteor, disregarding the target’s ability. Solgaleo’s ability is Full Metal Body, a new ability that no previous Pokémon has had. 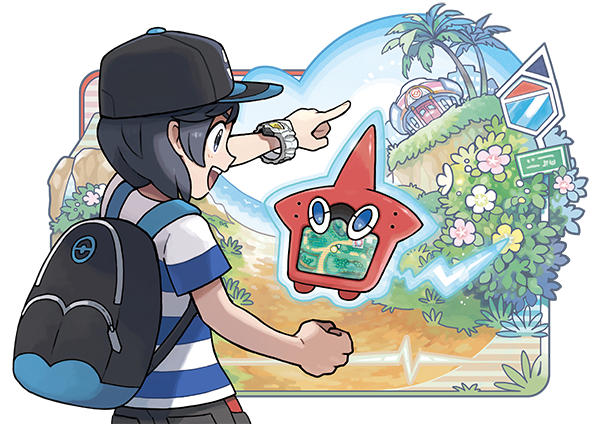 With the Full Metal Body ability, a Pokémon’s stats will not be lowered by the effects of an opponent’s moves or ability." As for Lunala, the release says, "Since ancient times, Lunala has been honored as an emissary of the moon. Referred to with reverence as 'the beast that calls the moon,' Lunala is constantly absorbing light and converting it into energy. With its wings spread to absorb the surrounding light and glittering like the crescent moon, it resembles a beautiful night sky. Lunala’s signature Moongeist Beam attack releases an ominous beam of light that disregards the target’s ability. Lunala’s ability is Shadow Shield, a new ability that no previous Pokémon has had. With the Shadow Shield ability, a Pokémon will take less damage from an attack that lands when the Pokémon has full HP." In other words, they are pretty tough hombres. 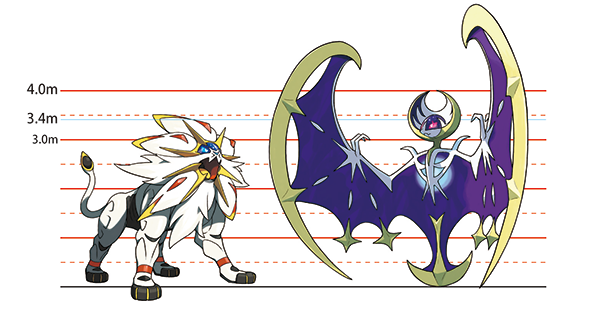 Promotional materials with this announcement included this graphic showing the relative heights of the new Pokémon characters. Note that it resembles a perpetrator line-up from an old Hollywood noir film. In addition, new characters in the game and new features were also revealed. Lillie is a mysterious girl who assists the professor. Hau is a Pokémon-loving young boy with a big appetite. 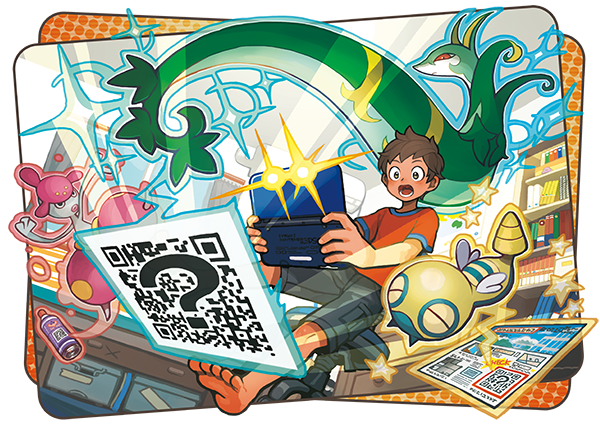 They also give the characters some new tools: The Pokédex and a QR Scanner, sort of like mobile phone apps to give them better stats about the Pokémon characters at their disposal.